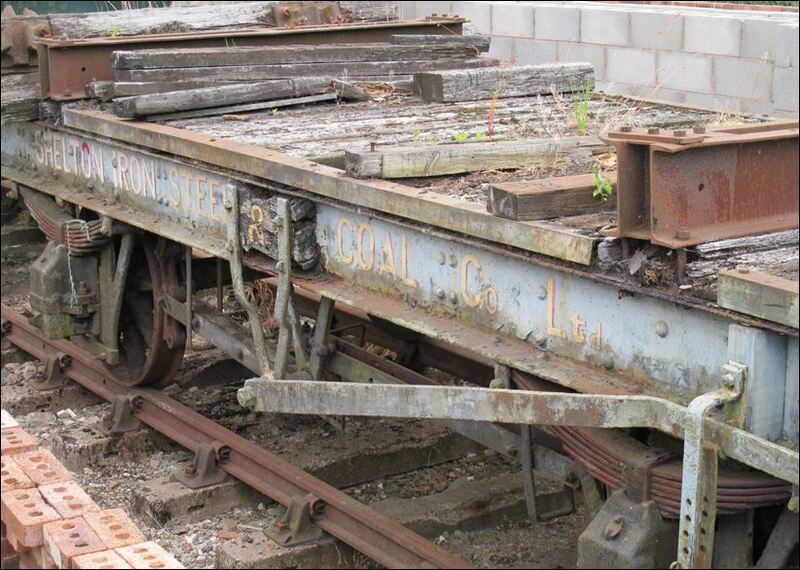 The Foxfield Light Railway is a preserved standard gauge line located south east of Stoke-on-Trent. The line was built in 1893 to serve the colliery at Dilhorne on the Cheadle Coalfield. It joined the North Staffordshire Railway line near Blythe Bridge. 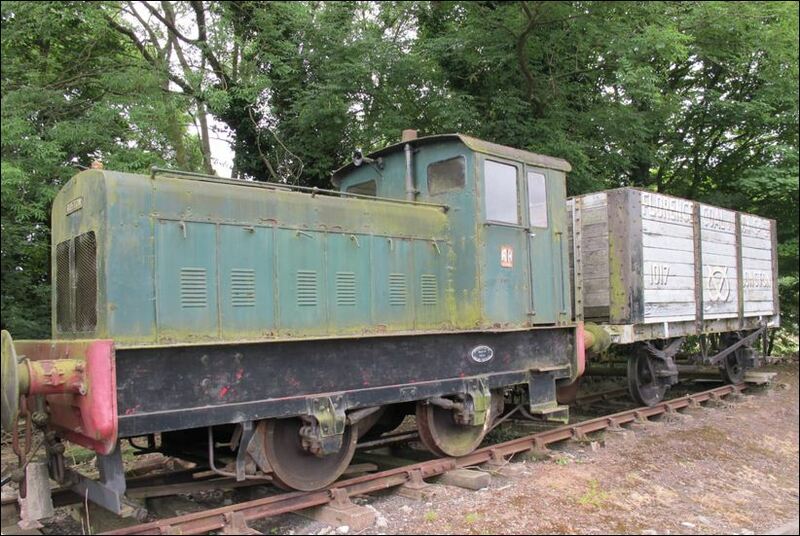 When the colliery closed in 1965, local volunteers formed the Foxfield Light Railway Society to preserve the line. 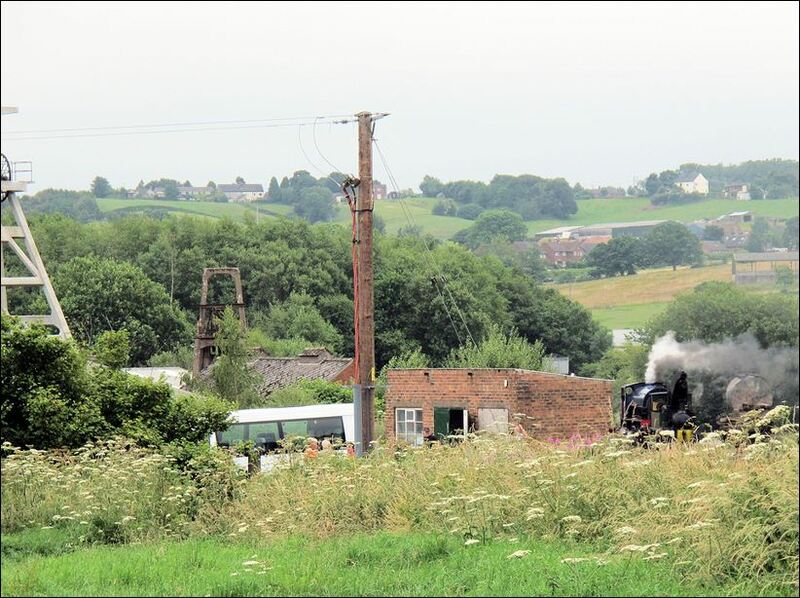 At first, passengers were taken in converted trucks up the formidable 1:19 to 1:26 gradient out of the colliery site at Dilhorne, accompanied by a tank engine. These photos were taken at the 2013 Summer Steam Gala. Kerr Stuart: The company was founded in Glasgow in 1881 by James Kerr as James Kerr & Company, and became Kerr, Stuart & Company from 1883 - they were only acting as agents ordering locomotives from established manufacturers, among them Falcon, John Fowler & Co. and Hartley, Arnoux and Fanning. In 1892 they bought Hartley, Arnoux and Fanning (formed in 1977) and moved into the California Works in Stoke to begin building all their own locomotives. Hartley, Arnoux and Fanning had previously been building railway and tramway plant. Dubs & Co. in 1901, Glasgow for the Shelton Iron and Steel Works, Stoke on Trent. 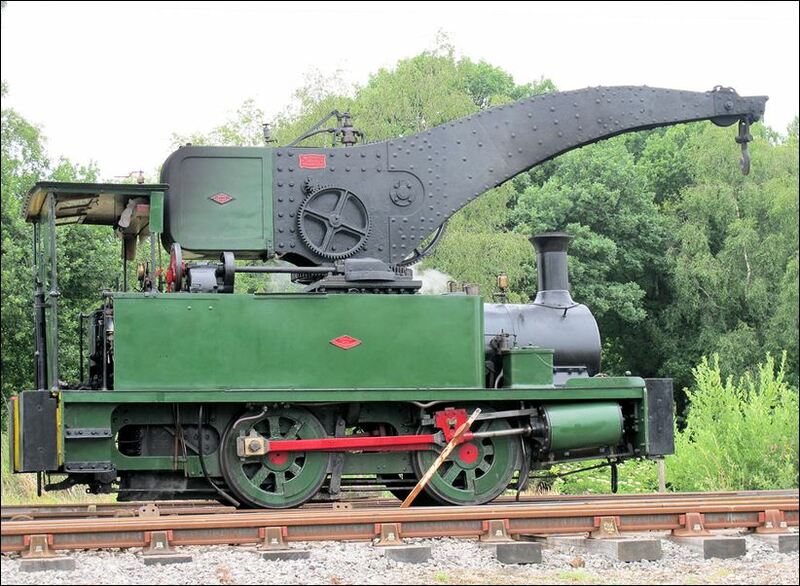 A "crane tank" is a type of steam locomotive upon which a steam-powered crane is mounted, producing a machine which is capable of performing as both a shunter and a mobile crane. 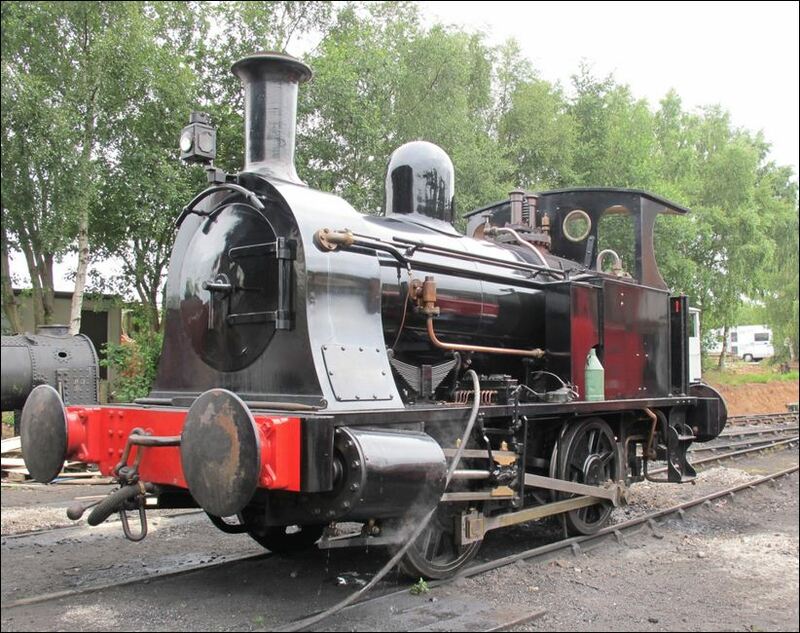 "Dubsy", as the locomotive is affectionately known, returned to steam on 18 July 2010, during the Foxfield Light Railway's steam gala. Florence Colliery took its name from the 3rd Duke of Sutherland's eldest daughter whilst the area of Florence is just to the south of Longton. Shaft sinking commenced in 1874 on land which formed part of the Trentham Estate where it was intended to mine both coal and ironstone. Initially the undertaking was small but to assist in the development of the mine, a private railway was constructed to connect with the NSR line at Trentham. Completed in 1876, the line was originally worked by the North Staffs Railway until the Duke obtained his own locomotives in 1882. 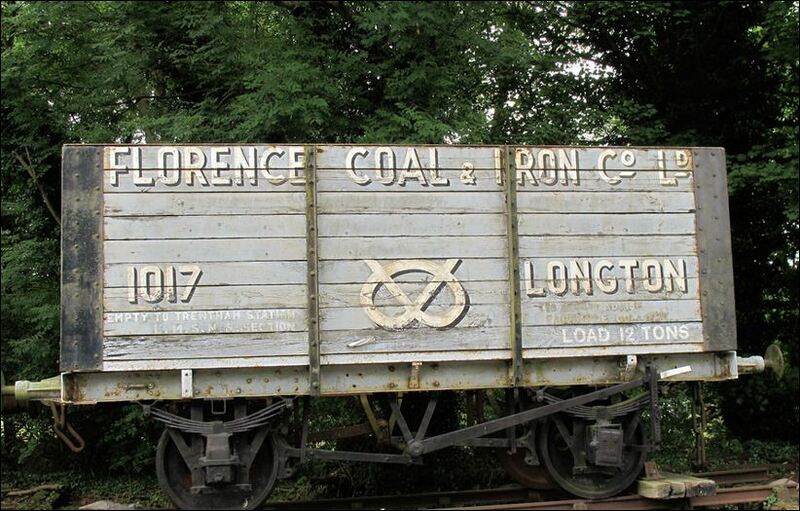 The undertaking was however entirely separate from The Stafford Coal and Iron Co. Ltd and was worked privately by the Duke until a private Limited Liability Company - Florence Colliery Ltd. - was incorporated in October 1891. The 3rd Duke died in September 1892 and in May 1896 the Company was dissolved to be replaced by a new Company - Florence Coal and Iron Co. Ltd - which allowed the then Duke additional powers in the management of the undertaking. In 1889 Earl Granville's iron and coal business finally amalgamated with the Shelton Bar Iron Co. the new company was named Shelton, Iron, Steel & Coal Co. Ltd. In its heyday the Shelton works stretched across Etruria Valley to what is now Festival Park in Hanley. It had a 10,000-strong workforce, five coal mines, steelworks and rolling mills, blast furnaces and a bi-products factory.